Our Founder, Ryan Seacrest Returns to His Hometown of Atlanta! 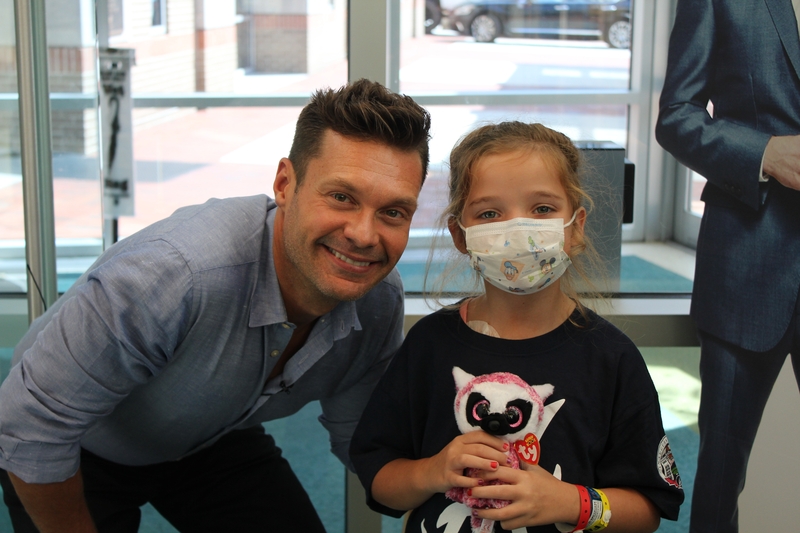 https://youtu.be/GKLtNwjrKPc Ryan Seacrest returned to his hometown of Atlanta to visit patients and fans at his very first Seacrest Studio – where his dream of creating an uplifting environment and contributing in some small way to the healing process for patients who could be going through a difficult time – became a reality through his Ryan Seacrest Foundation in 2010. And it was great to have him back! Patients were eager to tell Ryan all the things they love to do in the studio, from singing and playing games to hanging out with the interns and interviewing celebrities. Excited to take a crack at interviewing one of the best “interviewers” himself, patients took turns with hard-hitting questions. Ryan especially enjoyed the one asking him which he loved more, “being on radio or being on TV?” Hmmm, we’ll leave you pondering his answer! Lots of pictures, hugs and autographs followed the Q&A session. Then it was back to New York City and Live With Kelly & Ryan, where he shared a wonderful video of his visit with us! Thanks so much Ryan—we love you!